Authorities in Burlington County have identified a man who was killed during a suspected home invasion at a residence in Moorestown recently. The incident in question occured in the early morning hours on Sunday, July 9th. 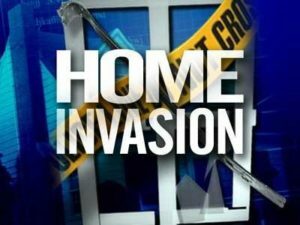 At approximately 12:25 a.m, police received a report from the resident of a home located on the 700 block of Hartford Road in Moorestown that their home had been broken into. Officers from the Cinnaminson, Delran, Maple Shade, and Mount Laurel police departments responded to the scene to find 26-year-old Moorestown resident James R. Doyle, 26, who had apparently been stabbed. Doyle was pronounced dead shortly thereafter. The home’s resident, who remains unidentified, reportedly admitted to stabbing two men after they broke into his home and a struggle ensued. Doyle was killed, while the other man was treated for a stab wound to the leg at Lourdes Medical Center in Willingboro. The home’s resident received medical care for a cut to the head. According to Burlington County authorities, Doyle’s death has been ruled a homicide. The case is currently under investigation by members of the Moorestown Police Department and the Burlington County Prosecutor’s Office but no charges have been filed as of yet. There are many outstanding questions related to this incident, including: were the men armed when they broke into the home? What did the resident use to stab them? As for Doyle, he was reportedly convicted on drug charges in 2016, which resulted in a sentence of 5 years probation. He was also found guilty of disorderly conduct in 2014. Had he lived, Doyle may have been charged with trespassing, burglary, criminal mischief, or another criminal offense in connection with the recent home invasion. Additionally, if he and the other suspect had been armed during the incident, they may have also faced charges for possession of a weapon for an unlawful purpose. Whether or not officials choose to charge anyone in connection with this incident remains to be seen. However, the man who survived the stabbing incident may still face charges for burglary, trespassing, or another crime. The home’s resident, on the other hand, may or may not face criminal charges, depending on the outcome of the investigation. If the resident was simply defending himself and his property, he may not be charged with homicide or manslaughter, despite Doyle’s death.